What if you could make any dream you have come true? Go to Kickstarter, and bam, you’re there. 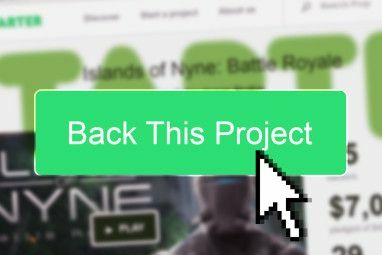 Kickstarter and similar crowdfunding websites want to be the fairy godmother of our childhood. Have an idea? Let us make it come true. But is it really as easy as it looks? There are endless Kickstarter projects out there, with endless dreamers whose only wish is to make their private dreams come true. We hear about them when they succeed magnificently, we hear about them when they fail miserably, but, unless we know them personally, we rarely hear about them before the stakes have been decided, let alone before the project launches. What does it take to launch a Kickstarter project? Can anyone do it? How does it feel to wait, bearing the uncertainty that’s an inherent part of Kickstarter? Are they sure of success? Are they afraid of failure? We’ve hunted down a promising Kickstarter project to try and find some answers. This is not a Kickstarter project you’ve heard about. It only went live a few hours ago. Over the past couple of weeks, I’ve been talking to Nimrod Back, one of the developers of this project, trying to glean what it’s like before the limelights are on them. Before the judging crowds get their hands on them, deciding to support or to ignore. Do a quick test. Try to launch your smartphone camera and take a photo. Measure the time it takes. Our guess is that it takes you more than 10 sec. Should it really take that long? 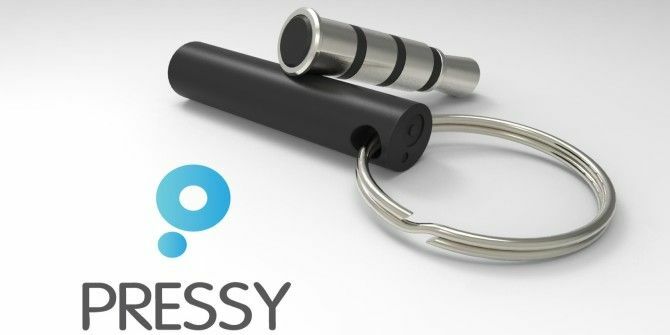 Pressy is a tiny physical button that plugs into your Android’s headphone jack. By connecting the Pressy button with the free Pressy app, you can easily customize and use Pressy to perform your favorite everyday actions. For example, if you use your flashlight on a regular basis, set Pressy to turn it on with a click combination, and use it to turn on your flashlight immediately. How long have you been working on Pressy? What makes it unique among the thousands of campaigns out there? We started working on the Pressy project 4 months ago, around the beginning of April. Unfortunately, or maybe fortunately, I was unemployed at the time, and could start working on it full-time immediately. Boaz, my partner, had previous commitments, so he joined me a month later. From that moment on, we’ve been on it 24 hours a day, 7 days a week. Most products on Kickstarter are great, but in the design or technology categories, they mostly fall under the “nice to have” bracket. Our product is a bit different. The Pressy button is designed to be plugged constantly to your phone and really saves you time and effort while using your phone. In addition, we’re seeing more and more big companies use Kickstarter as a way to increase sales on their existing products. We’re not like that. We’re a small team of 5 entrepreneurs, and we want to create something — a product. We’re using this excellent platform [Kickstarter] because we want the opportunity to develop our product. This is why we don’t have an office, a promotional budget, or a product ready for shipping as soon as we’re funded. In our opinion, getting into Kickstarter as a big company is not a very respectable thing to do, and we hope our potential backers appreciate the fact that we’re doing this by ourselves, from scratch. You said you’re a team of 5; who else is working on this project? There’s me, Nimrod Back. I’m an industrial engineer and majored in information systems and business management. I handle the development side of Pressy. My partner, Boaz Mendel, is the product designer. He specializes in developing prototypes, gadgets and unique products, and actually had his own successful Kickstarter project about a year ago. He raised $5000 for a unique cat box. We have 3 smaller partners working on Pressy with us: another app and Web developer, one analyst that works for Google, and a marketer experienced in the startup world. Tell us a little about yourself, how did you find yourself with a Kickstarter project for Android? You said you’re an industrial engineer. Pressy was the first idea I thoroughly believed in. From the very beginning, I knew I was going the whole way with it. I’m 29 years old, and currently live in Tel Aviv, Israel. After graduating from university two years ago, I worked in information-system development for less than a year. I wasn’t satisfied with my job and realized I needed to do something more creative. My passion for smartphones and gadgets drove me to learn how to program applications for smartphones. I started with Android, and fell in love with the simplicity and flexibility it offers. I really believe in the open-code philosophy; everything you need is just one Google search away. I started developing my own apps but nothing hit the market. Every time I had a new and better idea, so I neglected the old ones. My house looks like the offices of Google: grass on the wall, wall paintings everywhere, swing in the living room and gadgets from DealExtreme all over the place. Two more interesting tidbits about myself is that I used to be a professional handball player, until I injured my back and had to quit, and that I’m a huge fan of Seth Godin. I feel like his philosophy, “this is broken”, is the way I’ve been living my whole life ever since I was born. How did you choose the goal amount for Pressy? What do you hope to accomplish with it? $5,000-$10,000 for operations: QA, distribution, registering a company, etc. This is how we came up with our Kickstarter goal, which is $40,000. We know there are campaigns out there for more complicated products that have a lower goal. These projects usually have additional funding sources, and just want to use Kickstarter for sales and marketing. What about setting up the campaign, creating the video, stuff like that? Our time — obviously we’re not getting paid for this work. As you can see, creating a Kickstarter project is not cheap. We calculated that in order to just break even, we’re going to need at least $80,000. How do you really think this campaign will proceed? Where will it be after a week? Be honest. We really did our best with Pressy. I hope the community will appreciate it. I’m an optimist, so my guess is $20,000 in the first week. Boaz’s guess is $8,000. What if the campaign fails? Is there a Plan B? Honestly, our product is so Kickstarter-oriented that if it won’t succeed there, it probably means our product and vision are no good. We will do some homework and continue to our next product. What is your vision for Pressy, if the project is successful? We believe smartphone companies will understand that buttons are important and that people love customizing them. We really hope that new phones come with extra buttons which you can customize to perform your favorite actions. Pressy will still be relevant! We hope the Pressy app will become the executor of your desired actions. Smartwatches, Google Glass, even your smart toaster will be able to use the Pressy API. This is the reason we’re really focusing on the user experience and on developing the API and SDK. Finally, the obligatory question, will Pressy remain Android only? As you probably know, a product like Pressy can only work on a jailbroken iPhone. I’m sure similar apps will appear for jailbroken devices, but we’re focusing on Android for the time being. That’s It? Won’t You Tell Us How It Ends? Now that you’ve read all this far, you may feel like you have a vested interest in Pressy. You’re at least curious how things will end for the Pressy team. Welcome to MakeUseOf’s new Kickstarter series. This is not the last time you’ll hear of Pressy. A week from now, we’ll join Nimrod and Boaz again to see which one of them, if any, was right in their guess. We’ll also get a glimpse into what it feels like to live on the edge, not knowing if your hard work will pay off, or if the dream will die on Kickstarter. What do you think of Pressy? Does it stand a chance? Did this article change the way you look at Kickstarter projects? Did it inspire you (or uninpsire you) to create your own? Share your thoughts in the comments. The obvious difference I can see is that this is just an app, whereas Pressy adds a new button to your device so you don't have to mess with your power button, which already has its own function. Funding interesting projects with a great chance of becoming best sellers when they come out in the market is something I am eager to support 100% (not just partly but once I find out the project could be profitable indeed I would be willing to financially support the whole package). 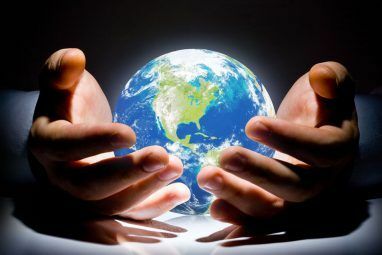 Since though, funding those projects is not a goal as such on its own (gaining money out of them is the name of the game), I would like to learn more on how these ideas could pay off at the end of the day on a percentage level, the individual funding the project in question. I would like to thank you for the chance you gave me to establish contact with you. I'd be more interested if this had a pass-through (say, a stacked headphone jack WITH the button somewhere, such as on the barrel of the extension jack or off to the side). This is a amazing idea wow! i wanna contribute so bad but i live in india and kickstarter wont work here, this would be great with my nexus 4! Just for my interest sake, what "function/s" would you assign the "Pressy". It looks beautiful but then again those pictures are posed professionally. My only question is why not an app that manipulates an existing smartphone button. For example the power button, every phone has one, why not use this for the same purpose. When it is required to power off the phone the app can be simply exited returning normal function to said button. The power button is the one least used and the most available. The sleep/wake function can remain as is, and the manipulation is programmed to work two pushes upwards. Apps like that do exist, though many aren't available through official means, and their purpose tends to be rerouting functions of disabled buttons to other buttons (for example, when your power button gets gummed up, you can reroute it's functionality to the volume down button or whichever you prefer). This remapping may appear to be a similar solution to what pressy offers, but it must be done through an app, which is the second key issue this device would alleviate. 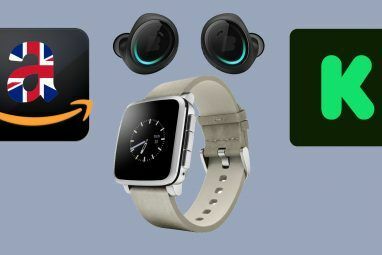 They strive to eliminate the *time* it takes to access an app and activate its function by providing an entirely new hardware button that can be accessed instantaneously from any state of the phone. So while there are already apps that provide similar functionality, Pressy just does it in a different way. Depends on your needs as a user. they already have activator for jailbroken iOS devices, i can hold down my volume button, or i could set it to where i can press both volume buttons and do it..but this is pretty great for Android.